Play the featured slot games at BGO Casino and participate in the grand giveaway of £5,000! 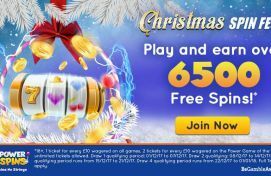 Join this great offer running at BGO Casino to win great prizes right before Christmas! The Boss is giving away £5,000 to his most active players at BGO Casino. If you want to get a share of this prize pool, you need to play the slots games part of this promotion, collect points, and climb to the top of the leaderboard! 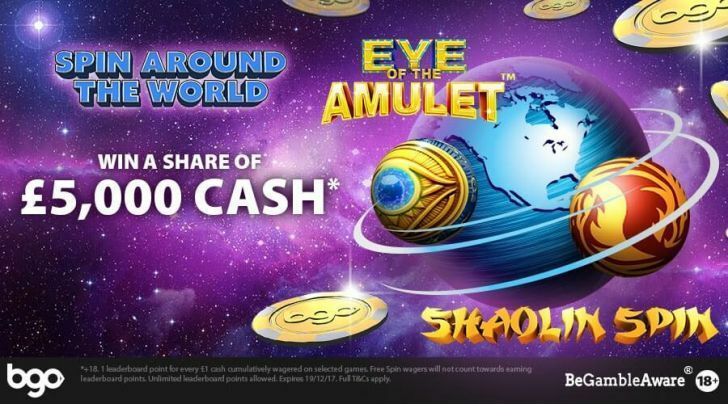 By playing the Eye of the Amulet and Shaolin Spin slot games at BGO Casino between today and December 19,, you collect one point for each £1 you wager. The point will help you climb up on the Boss’ leaderboard so - the more you play, the more chances you have to be the lucky winner who will pocket the prize once this promotion ends. But, how do you become a winner? Eye of the Amulet is a mysterious Egypt-themed game that will make you feel like an explorer. Once you start this game, you'll find yourself in a magic world made of esoteric symbols, mysterious tombs, and amazing treasures. Shaolin Spin, instead, is a game that brings you right at the heart of China's millenary culture. The game features Chinese symbols, beautiful pictures of dragons, and Shaolin warriors. Choose the one that inspires you the most, spin the reels and collect the points you need to win the prize! There's no room for sadness at BGO during the Holiday season. Even if you don’t appear on the leaderboard - you still have the chance to win money. After the 25 leaders are selected, three more players will be chosen at random to receive a £500 prize each, just before the holidays begin. So - try your luck, play the wonderful slot games, and be among the lucky ones! May this Christmas be the best ones you’ve ever had. Join the Christmas Blizzard to Get HUGE Bonuses!